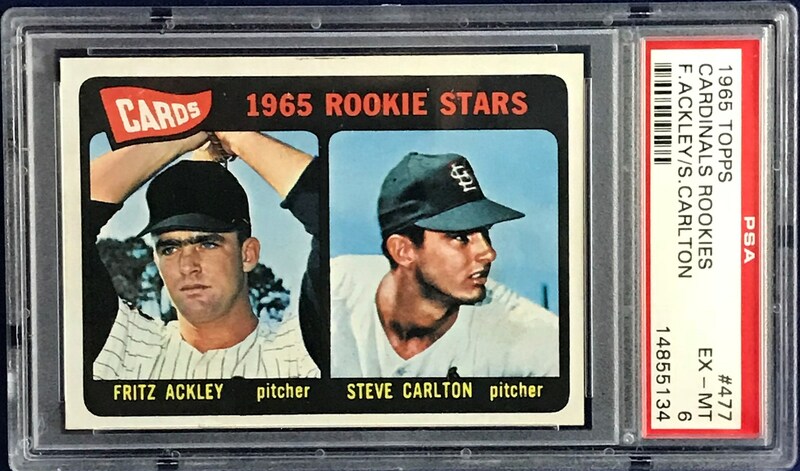 Up for your consideration is a 1965 Topps #477 Steve Carlton Rookie card. Carlton pitched over 5,000 innings and recorded an amazing 329 victories. 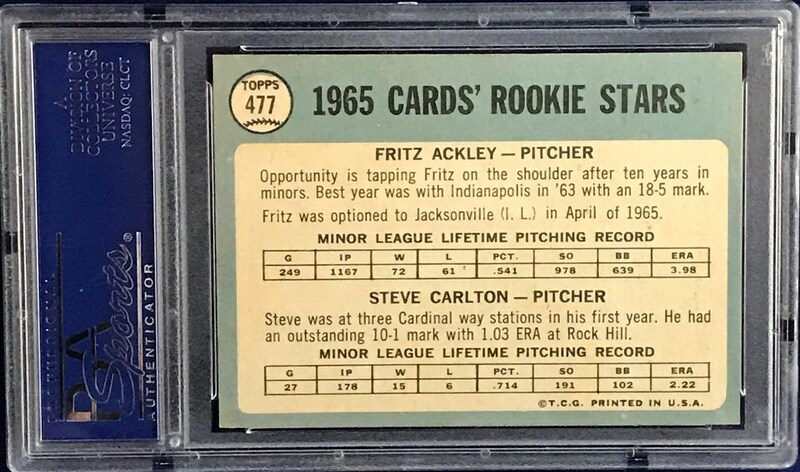 The card has been graded a PSA 6.